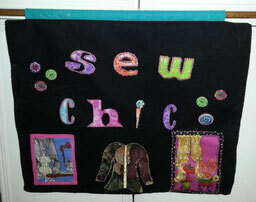 Sew Chic is led by Evelyn LeVassuer. For more information or to be added to the SC NG Member email list please contact her. Meetings are on the 4th Monday of every month from 1:30 until 4:00. Art and Style are a winning combination for us! Bring your ideas and project supplies to our classroom at the Jacaranda Public Library (4143 Woodmere Park Blvd) in Venice. Dec 6: Holiday party. No meeting on Dec 23rd.